bad bosses | Page 2 | Challenger, Gray & Christmas, Inc.
Last month’s prominent resignation of Uber CEO Travis Kalanick brought corporate culture and executive scandal once more to the forefront. 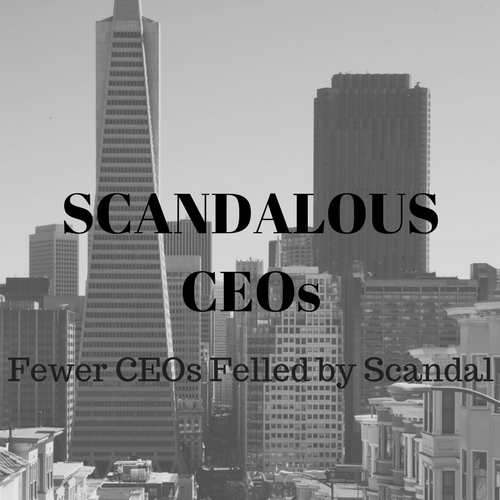 Despite a handful of newsworthy items, the number of scandal-ridden CEOs who have left their posts seems to be declining, according to data collected by global outplacement and executive coaching firm Challenger, Gray & Christmas, Inc.
Several studies have shown that leadership, more than money, is a top motivator for workers and fosters employee engagement and morale. On the heels of Donald Sterling’s infamous racist rant, which subsequently cost him his NBA team and caused teammates to protest, as well as Challenger’s most recent CEO turnover report which identified 6 leaders who could be put in the category of bad bosses, companies have turned their attention to bad leadership and how to combat it.